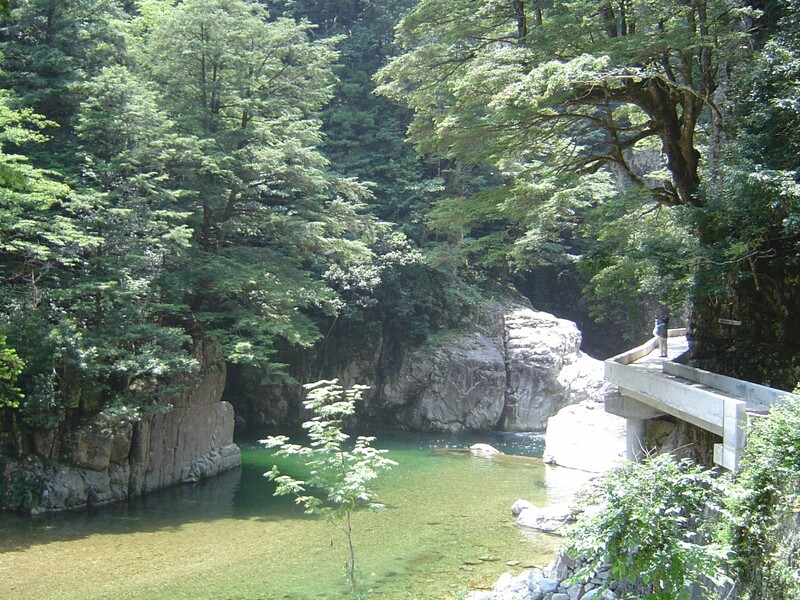 The major attraction that brings people to north west Hiroshima Prefecture after the snow has melted off Geihoku's ski resorts is a 16 km ravine called Sandankyo (三段峡). 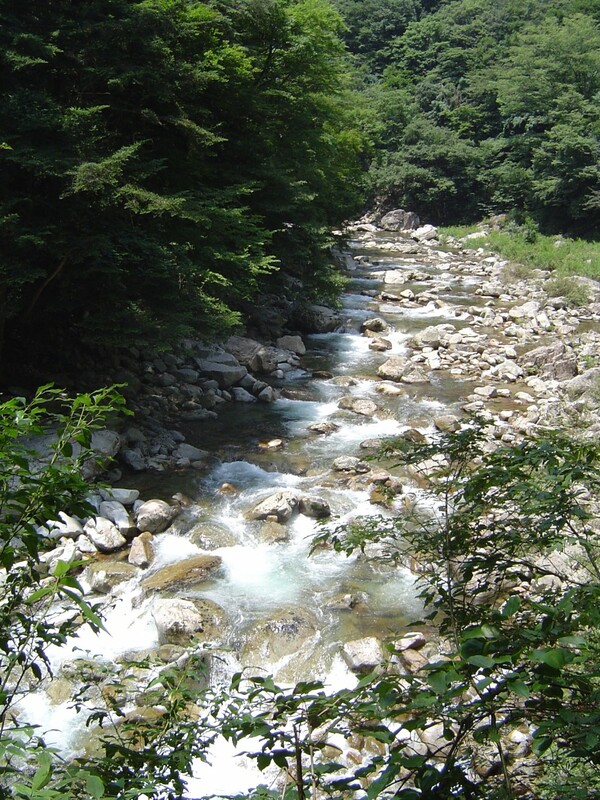 The Shibaki River which cascades down through the ravine over cliffs and down rapids is the source of the Ota river which flows through Hiroshima City. The area's beauty remained undiscovered and unknown to most people until around 1910 because of the sheer inaccessibility of the region. Hiroshima born photographer, Nanpo Kuma, is credited with introducing Sandankyo to the people of Hiroshima through his photographs. 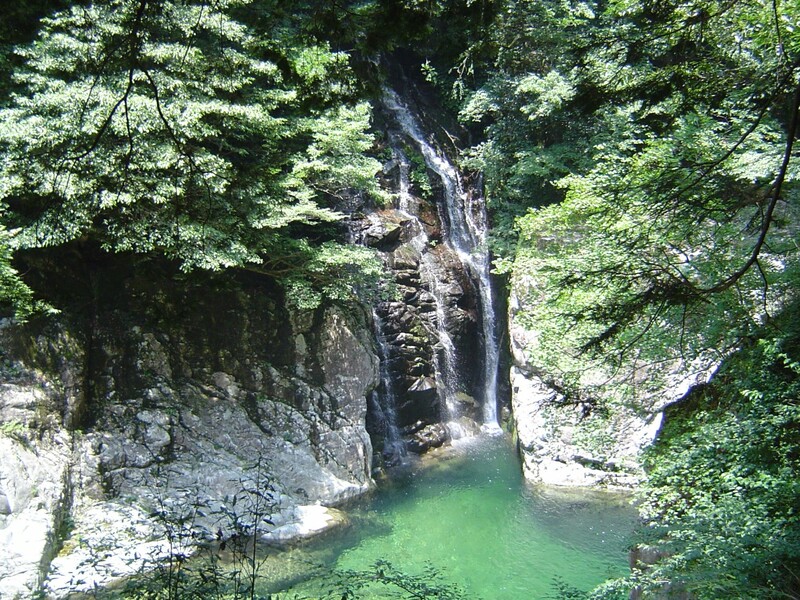 The stepped waterfall called Sandantaki (三段滝) is the famous poster image of the ravine but there is many more interesting natural features. In fact, it might actually not be the best part of the area. The best time to visit Sandankyo is considered to be in the fall. The closure of rail service from Hiroshima City to Sandankyo has made reaching it much more difficult. The entrance to the path up Sandankyo is close to the former terminus of the Kabe Line, Sandankyo Station. Train service past Kabe was discontinued in December 2003. 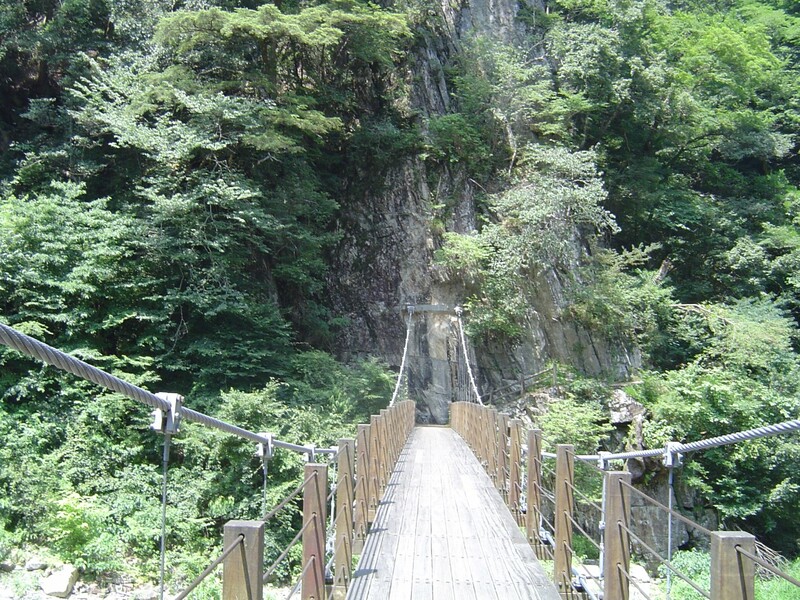 From there, it is a 2 hour (12 km) hike to the upper parking lot near the famous waterfalls. The trail is a concrete walkway that follows the east side of the ravine for the most part. The trail is almost flat in some parts, hilly in other parts and alternates between up and down in the rest. 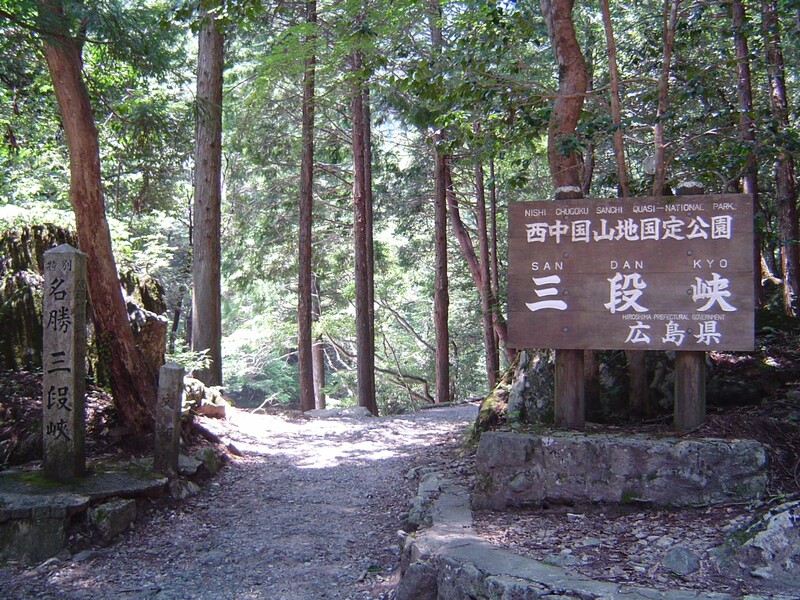 Most of the most unique and interesting sections can be seen in the first hour of hiking up from the entrance. 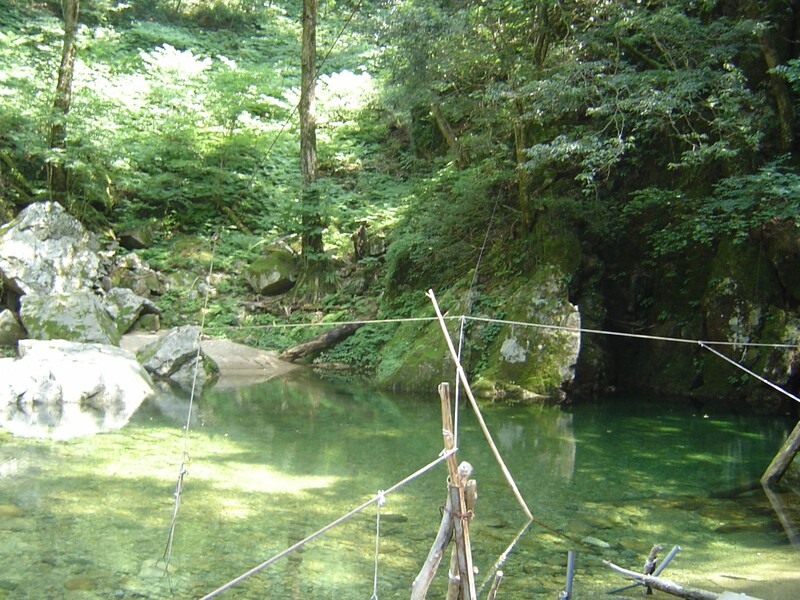 After you've past the Kurobuchi Pool the scenery starts to get a little repetitive. If you've come by car then you could turn around at that point and head back to car park. You can then drive up to the parking lot near the waterfalls. Hiking both ways at a leisurely pace will take all day. There is no drinkable water along the trail so take plenty of water with you. 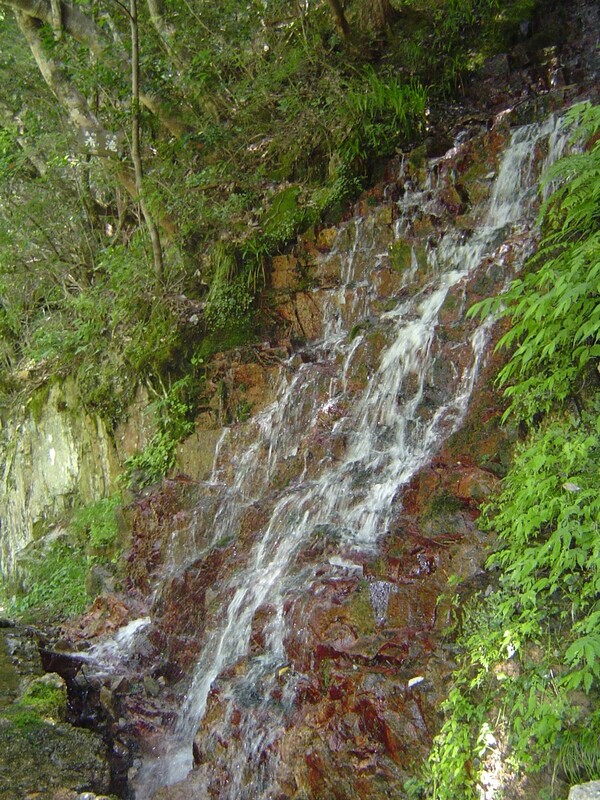 Sandankyo's famous waterfall, Sandantaki, is located a fair distance north of the northern upper parking lot. Technically, there is a bus between the two parking lots but the bus does as few as 2 trips a day. Sandantaki or "three stepped waterfall" is the most famous waterfall but there are actually a number of waterfalls besides it in the area. The Kabe Line from Yokogawa Station in Hiroshima towards Sandankyo first began service in 1909. At first, the train line terminated at Gion Town and gradually additional track was laid to extend the line. Initially, the train line was run by a private company but several mergers and deals later it came under the control of JR. The final section of the line was completed in 1969 with the opening of Sandankyo Station. Gradually, as more people moved closer and closer to their jobs in the city, the number of passengers riding on the train farther away from the city decreased dramatically. JR West was forced, despite strong local opposition and lobbying, to announce it was closing the section of track past Kabe. JR West ran additional trains for the last third of 2000 and all of 2001 to see if the number of riders would increase enough to justify keeping the service. Unfortunately, the number of passengers did not increase dramatically and no private sector company was willing to run the track. JR trains past Kabe stopped on December 1, 2003. Briefly, the train line was reopened by a private company for a tourist train from April 2004 but this closed down on May 25, 2005. The line is now permanently closed. 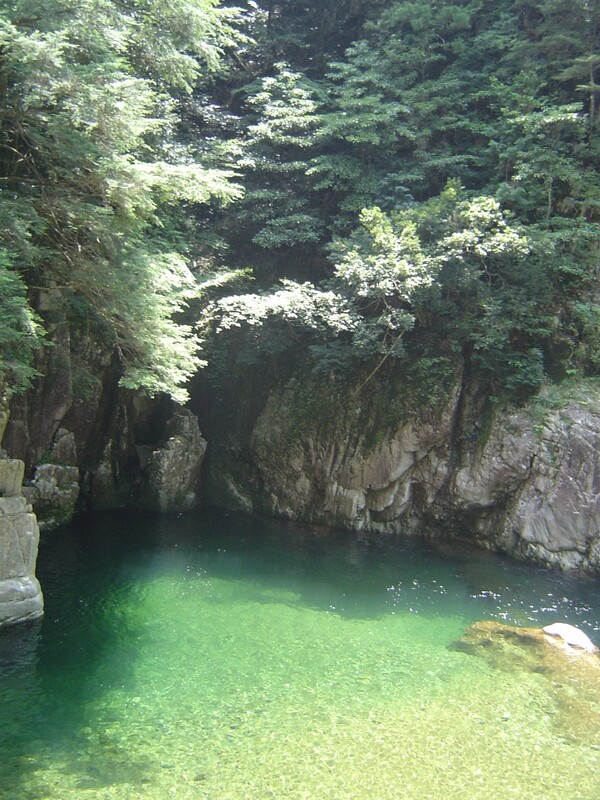 The best way to go to Sandankyo Quasi-National Park is by car. The other option is by bus but the bus is expensive and very slow. 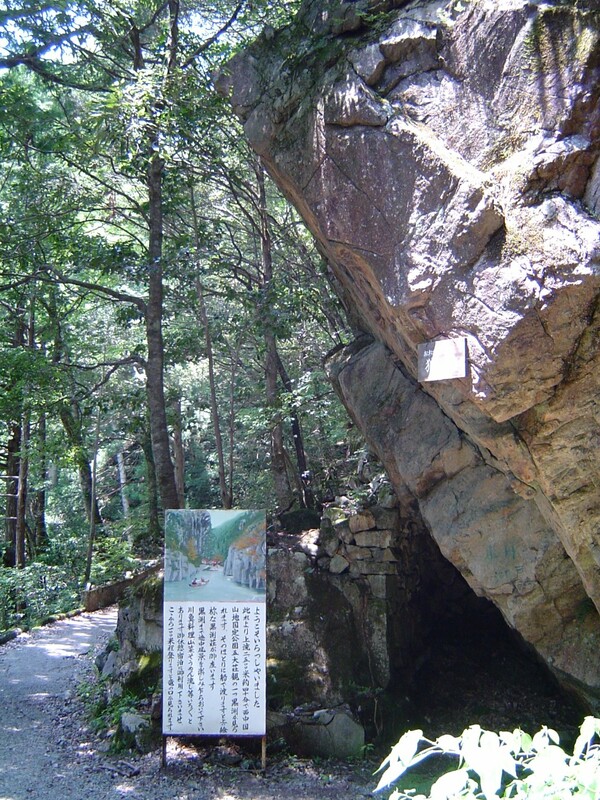 As well, going by car gives you additional freedom to explore the other sights around Sandankyo. 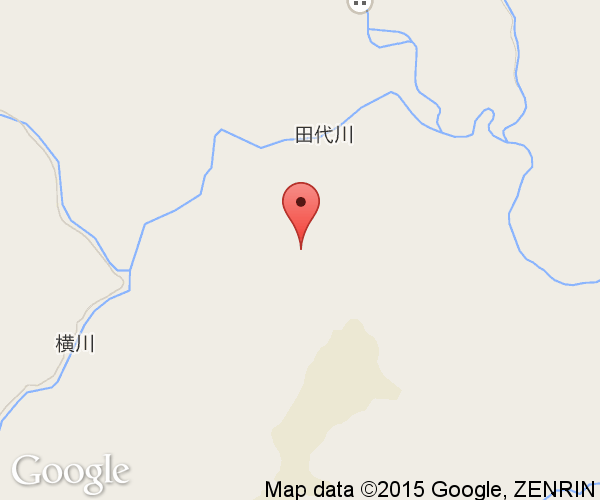 Hiroden Buses going to Sandankyo leave from the Hiroshima Bus Center and stop at Yokogawa Station and Kabe Station. Normally, the trip takes over 2 hours by bus but a few express buses go there in the morning and come back in the afternoon. The express bus takes an hour and a half. The bus costs around 1,300 yen one way.